1.LINDSEY 2.VIKKI 3.CAKE 4.ARIA 5.KARINA 6.DIVINE 7.JENNY 8.AUDREY 9.ARIEL 10,BOBBI 11.ANGIE 12.VICTORIA 13.LEAH 14.ISSA 15.DIAMOND 16.RAIN (NEW) 17.PEACHES 18.SECRET MORE GIRLS ON THE WAY IN!!! 1.LINDSEY 2.LILY 3.CAKE 4.SKY 5.CHICA 6.MACY (NEW) 7.STRAWBERRY 8.VERONICA 9.PEACHES 10.SECRET 11.ISSA MORE GIRLS ON THE WAY IN!!! 1.LINDSEY 2.SKY 3.PEACHES 4.SECRET 5.ARIA 6.STRAWBERRY 7.CAKE 8.CAROLINE 9.LEAH 10.KIM MORE GIRLS ON THE WAY IN!!! SHAWNA PANAMA OLIVIA SATIVA DAZZLE DAISY MORE TO COME ! 1.CAKE 2.VIKKI 3.SKY 4.CRYSTAL 5.DIVINE 6.CHICA 7.GENESIS 8.KARINA 9.AMBER 10.ASHLEY 11.PEACHES 12.KIM 13.CAROLINE MORE GIRLS ON THE WAY IN!!! 1. SKY 2. LINDSEY 3. VIKKI 4. BIANCA 5. CRYSTAL 6. KATHIA 7. BABY (NEW) 8. LILY 9. CAKE 10. GIANA 11. SAPPHIRE 12. VICTORIA 13. KIM 14. CAROLINE 15. ARIEL 16. PEACHES 17. KARINA 18. IRENE MORE GIRLS ON THE WAY IN!!! NIKKI ALIZEA MYA SHAWNA PANAMA OLIVIA JASMINE KATHIA SATIVA MORE TO COME ! 1. VIKKI 2. LINDSEY 3. CAKE 4. SKY 5. THARA 6. STRAWBERRY 7. CRYSTAL 8. CHICA 9. DEVINE 10. GENESIS 11. ARIA 12. KATIA 13. BIANCA 14. VICTORIA 15. ARIEL 16. KIM 17. AMBER 18.GIANNA MORE GIRLS ON THEIR WAY IN!!! 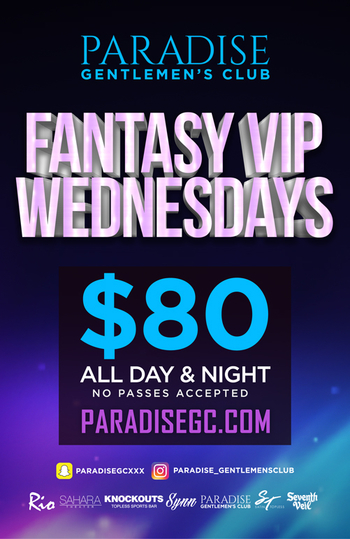 $80 VIP SPECIALS ALL NIGHT LONG!!! COME SEE YOUR FAVORITE GIRLS FOR SOME FUN!!! ALIZEA MELISSA KIKI BIANCA KATHIA TIFFANY MIKA KENDRA VICTORIA PANAMA MORE TO COME !